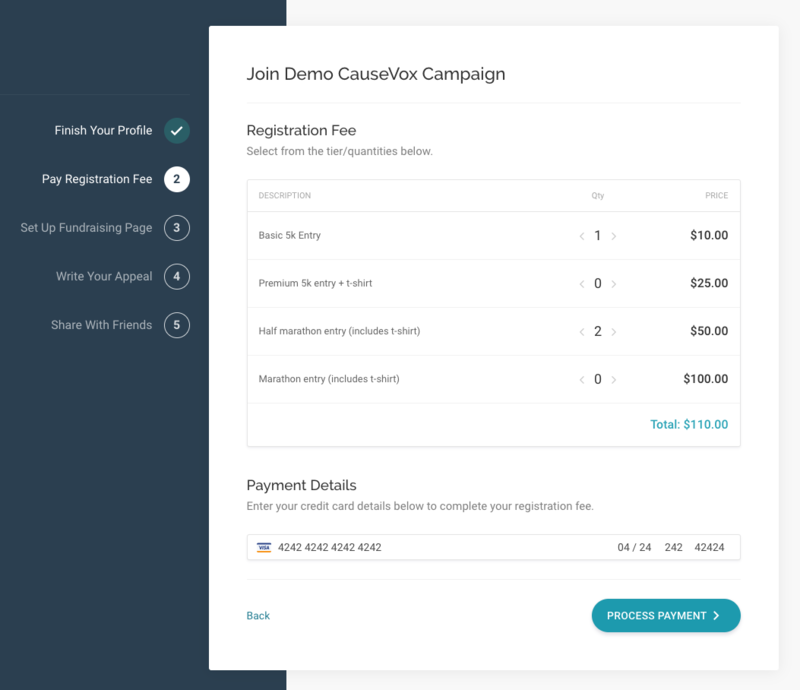 How to charge a fee for people to register for your peer-to-peer fundraising event. You're able to take registration fees for your peer-to-peer fundraising event using Peer-to-Peer Registration. 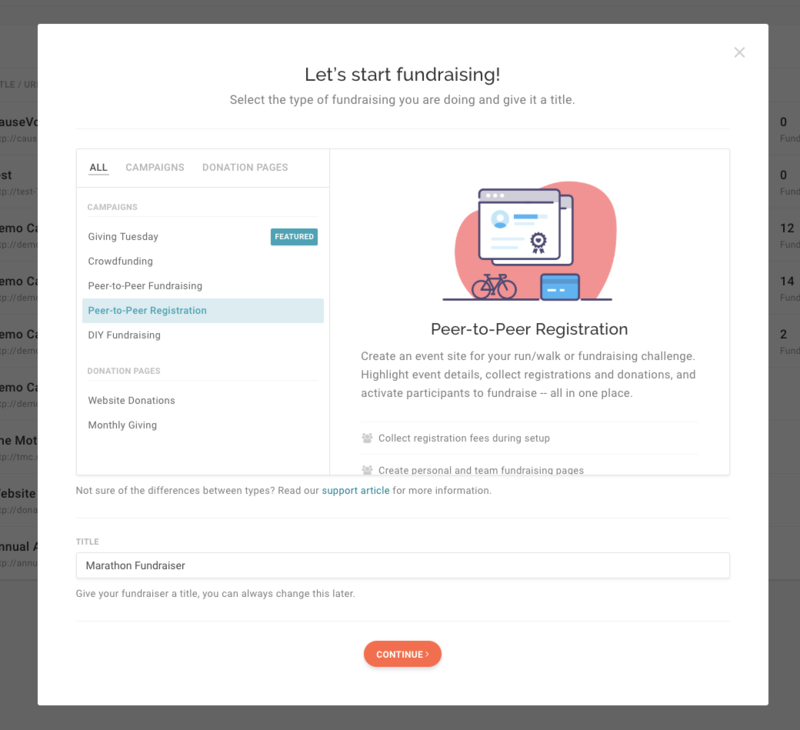 When enabled, peer-to-peer registration is built into the fundraising page signup process, so that fundraisers must pay a fee to proceed with their page setup. If you're starting a new campaign, you can choose Peer-to-Peer Registration from your selector. This will lead you through the setup process including peer-to-peer registration. 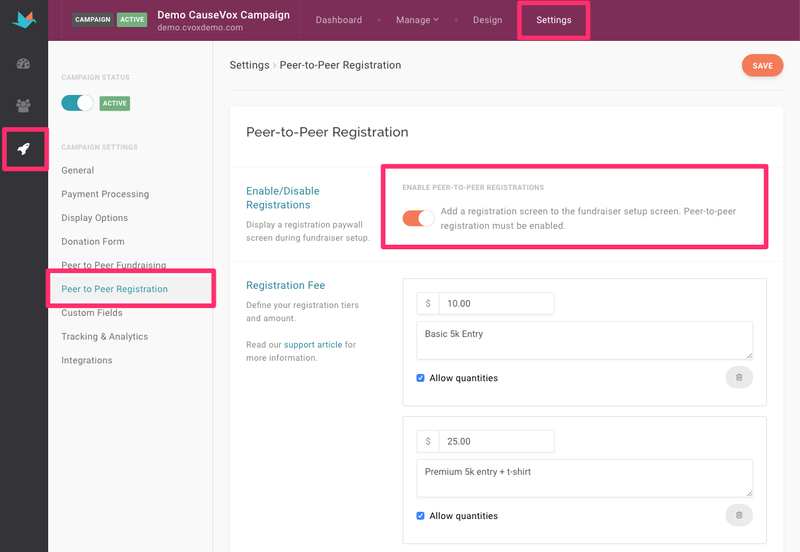 Step 1: If you're adding it onto an existing campaign, you can navigate to your Settings and select Peer-to-Peer Registration from the menu. Ensure that peer-to-peer registration is enabled at the top of the page. 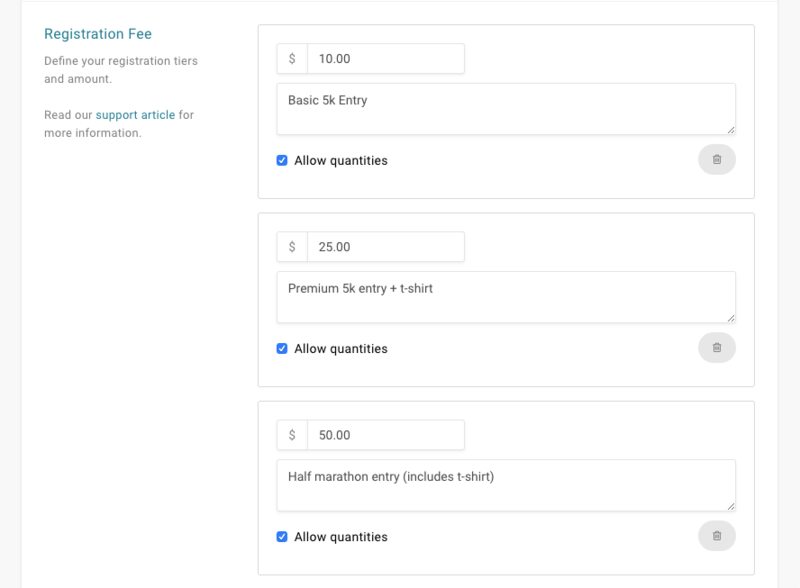 Step 2: Here, you'll be able to build out your registration fee and description. You're also able to allow for multiple quantities. Note: On the Standard plan, you're able to have one registration fee level. On the Premium plan, you'll be able to create multiple registration fees. 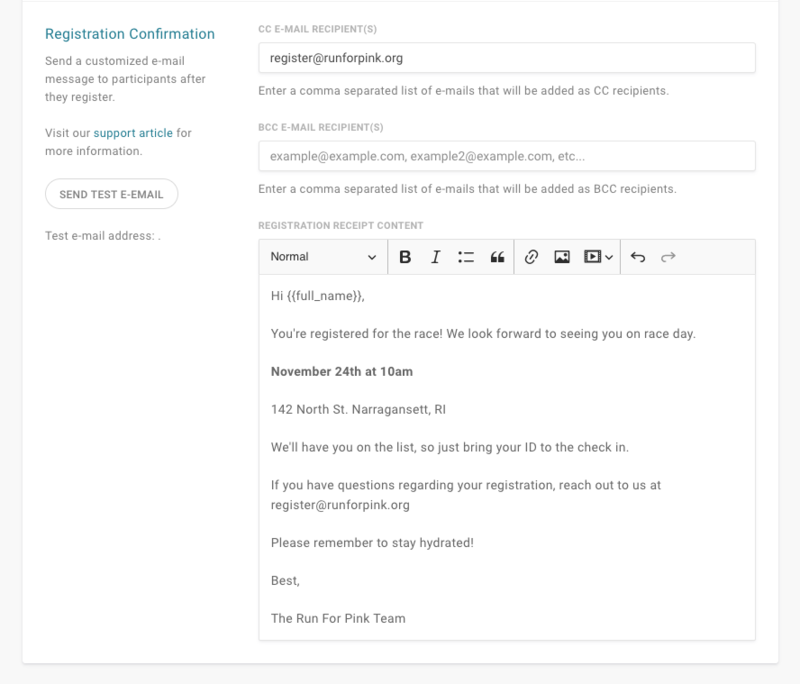 Step 3: Your registrants will automatically get a confirmation email from you when their registration is completed. Enter any and all essential information into the registration email. Once saved, these registration options are automatically added to the fundraiser signup. To see what the registration process looks like, view our support article How To Pay Your Registration Fee and Create Your Fundraising Page.